Bluetooth headsets typically fall into two categories, hooked or non-hooked. 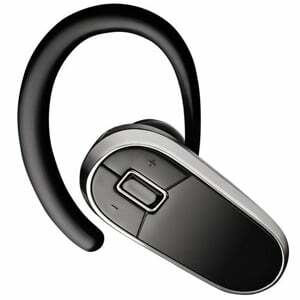 However, there is a growing trend with Bluetooth headsets to create a third category, hybrids. Hybrids would be the headsets that have the removable hooks. 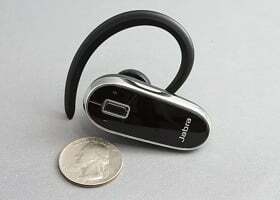 Jabra produces several of these hybrids and the Jabra BT2010 Bluetooth Headset ($29.95), at an average retail price of $29.95, may be the biggest bang for your buck. The BT2010 is packaged with a wall charger, removable ear hook, and a quick start guide. A more detailed owner’s manual can be downloaded from Jabra’s website. The BT2010 headset is light and compact, weighing a mere .39 ounces and measuring just under two inches long. 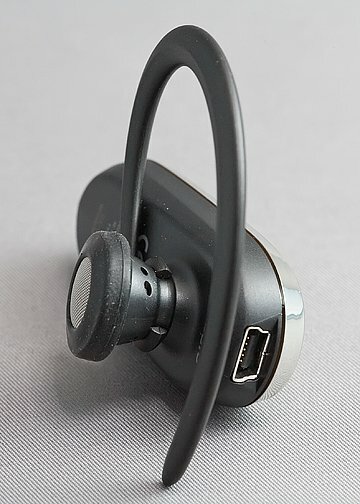 Wearing this small headset is comfortable with or without the hook. It rests securely with either style and stayed nicely in place with the hook during my annual afternoon jog. The only concern over the hook is that the hook itself was not adjustable. It is constructed of soft plastic that is flexible but retains its original size. While this offers a measure of retention when worn, it can become uncomfortable after time. A moldable hook might offer more comfort. The headset has three buttons on the surface; two volume keys and a multi-function button. 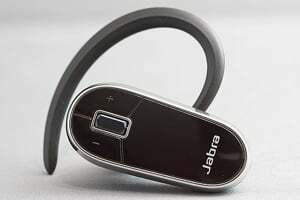 The multi-function button rests in the top center of the headset and has a LED indicator to confirm/alert users to various functions. Pairing the BT2010 with my Samsung BlackJack II was easy. When you turn the headset on for the first time, it automatically goes into pairing mode. The BlackJack II recognized the headset in a matter of seconds and after entering the factory security code, the BT2010 was up and running. The headset’s volume was good. I had no static or interference issues with the Bluetooth connection and the microphone picked up my voice with no problem. I was heard clearly using a normal tone and volume. The microphone also filtered out a good amount of background noise. While I could hear the car stereo in the background, it didn’t interfere with what I was saying into to the headset. The BT2010 has the basic operational features such as answer/end call (important feature), rejecting calls, activate voice dialing, redial, call waiting/hold and mute. Some of these features are device dependant and all but the mute function (controlled by pressing both volume keys) are controlled by the multi-function button. The LED on the multi-function button is described as a “discreet” light in that after one minute of inactivity the light turns itself off. The light will reactivate when headset activity resumes. In using the BT2010 the only concern I developed was with the control buttons, in particular the multi-function button. The volume keys are flush with the headset’s surface and the multi-function button is slightly, barely raised. In my opinion, I think it could be raised a little more. It was a little difficult to distinguish the multi-function button and I often overshot it and hit one of the volume keys by mistake. While Jabra gives no indication as to how many devices the BT2010 can be paired to, I can only assume that it can only be paired to one device at a time. Reported range of the BT2010 is approximately 33 feet, which appears to be standard for most Bluetooth headsets. Talk time is reported to be seven hours and standby time is reported to be 200 hours. Jabra does not indicate the availability of a car charger for this model but the battery life should be sufficient to last in between stops of most travelers. Still, a travel charger option would have been nice. I liked the BT2010. It wore surprisingly comfortable with or without the hook, had really good reception, and operation was easy. I do wish the multi-function button was raised a little more but after using the headset a while, you got used to the low profile. If you’re not sure if you’ll like Bluetooth Headsets or just need something for the car, the Jabra BT2010 Bluetooth Headset ($29.95) deserves a hard look.